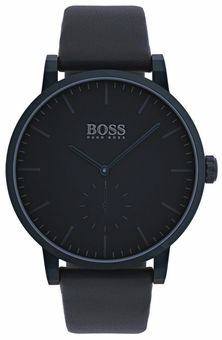 A modern, minimal timepiece in brushed and polished blue-plated stainless steel by BOSS. With pared-back details, this two-hand watch features subtle hour and minute markers, a deep-blue matt sunray-brushed dial, and a textured leather strap. 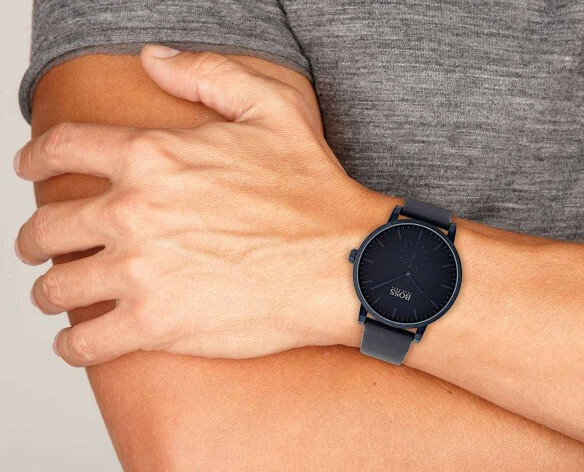 Its lightweight design allows you to wear it anywhere, any time for a sleek, understated finish.